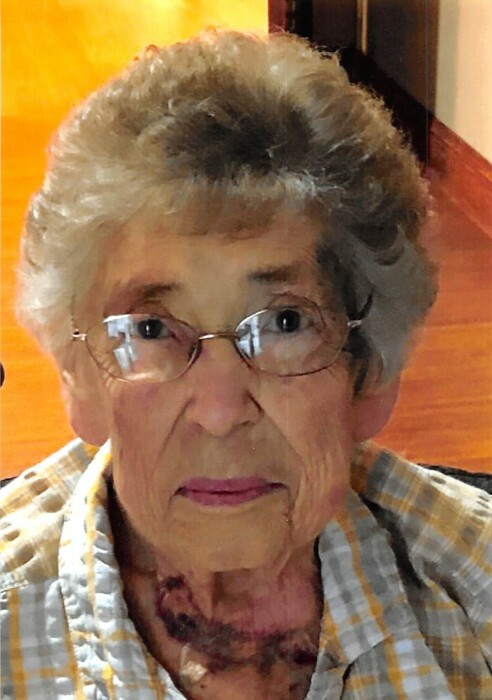 Obituary for Donna J. Hendrickson | Hunter Funeral Home, Inc.
Donna J. Hendrickson, 81, of Lima passed away on Friday, October 12, 2018 in the Good Samaritan Home in Quincy. Donna was born on May, 19, 1937 in Lima to the late Jesse and Maxine (Flack) Jones. She married William “Bud” Hendrickson on May 3, 1958 I Lima. William passed away on September 5, 2002. Donna was a member of the Federated Church of Lima and enjoyed reading, playing cards and gardening. Surviving are six children; Pam (Michael) Clow of Fowler, Vicky Hendrickson of Quincy, Ron Hendrickson of Lima, Don (Kelly) Hendrickson of Mendon, Debbie (Jim) Durst of Quincy, Michelle Marlin of Keokuk; seventeen grandchildren, Jason and Elizabeth Clow, Benjamin, Janelle, and Ciera Hendrickson, Justin, Blake, Alex and Ashley Hendrickson, Kyle Hendrickson, Brooke Valentine, Zach, Cory and Claire Durst, Jessica Hendrickson, Patrick and Connor Marlin; five great-grandchildren and two Brothers, Merlin Jones of Normal and Ronnie Jones of Lima. She was preceded in death by one daughter, Patty Hendrickson; two brothers, Jack and Dean Jones and one sister, Betty Jones.